Turns out “The Man with a Machine Gun” is a song about a guy with a machine gun, not a guy with a machine gun for a hand. 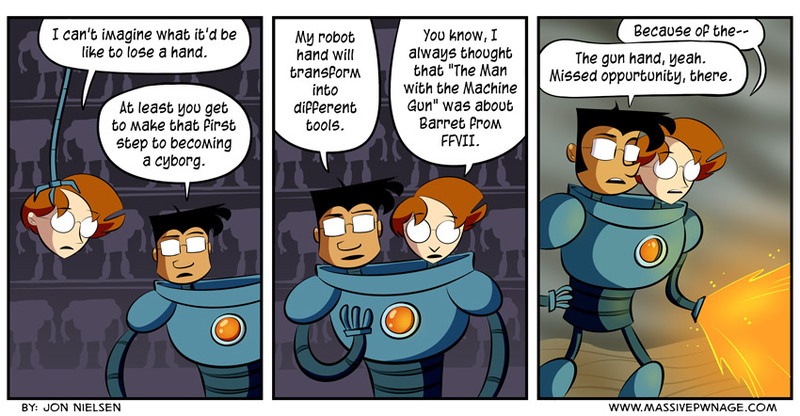 This entry was posted on Monday, February 17th, 2014 at 12:00 am and is filed under Comics. You can follow any responses to this entry through the RSS 2.0 feed. Both comments and pings are currently closed. hmmmmm never knew that, useless information go in, important stuff I need for my schooling goes out.